Have you ever wished you can take your phone with you while you are out playing in the snow, or at the beach, or the water park, or when you are hanging out around the pool with kids? There are times I wished I had my phone with me on these occasions, but I had to put the phone away, because I didn’t want to get the phone wet. Today I am sharing a cool iPhone case that can waterproof your iPhone, at a reasonable price. If you search online for waterproof iPhone case, you will find some decent options, but all are at a price $40 and above, and $40 is a price after promotion. The case I found is Amphibian from InnoPocket. 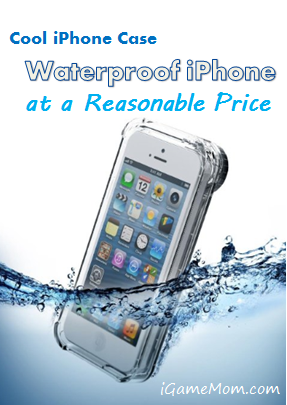 It not only waterproof, but also crush proof the iPhone, and the original price is only $29. It can waterproof the iPhone well, up to 33 feet or 10 meters under the water. You can take pictures and videos underwater. The phone functions very well with the case on. The touch screen works just like you are using the iPhone without the case. The sound is clear on both ends of the conversation. The photo feature functions well with clear pictures. 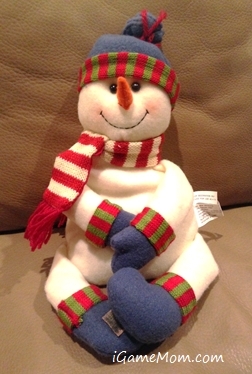 The picture below was taken by my iPhone with the case on. It is a 2-in-1 design. The inner shell can be used as a clear hard case for everyday use. It also has crush protection. The silicon jacket and the dump out corners will protect the phone from accidental drops. Before you are heading out for your ski trip or just going out playing in the snow, or planning a beach vacation, make sure to check out the cool iPhone case that will waterproof your phone. It will give you the peace of mind knowing your iPhone will be safe from water and occasional drops. If you would like to check it out or purchase it, please use the link provided below. The cost is the same to you, but iGameMom gets a small percentage. Thanks for your support! Note: The link works for all countries.